The ice cream champion also won the survey for its lovely buildings, fall weather, and quaint atmosphere, which includes a flair for old-school ice cream. 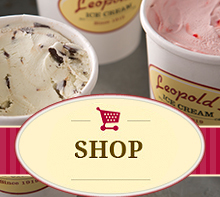 Leopold’s is a classic parlor that dates back to 1919 and makes single-batch flavors such as old-style tutti-frutti and more newfangled options such as Guinness and Japanese cherry blossom. During summer, another hot spot is the famous Sugar Shack on Tybee Island, a longtime family-owned operation with floats, frosties, and classic flavors such as piña colada and banana pudding.